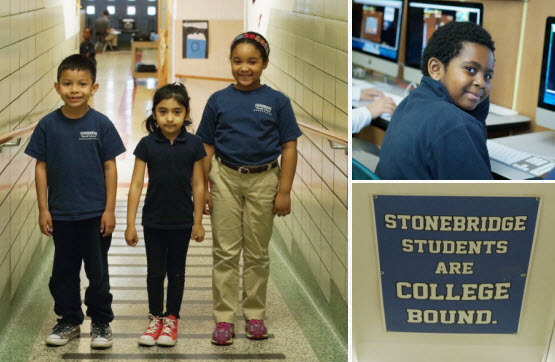 Stonebridge World School is a K-7 Minneapolis public charter school that provides a unique combination of a global curriculum, a variety of services and a central location designed to provide a first-class education to Minneapolis students. 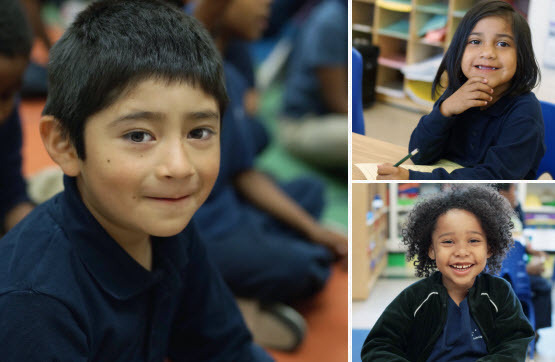 Tuition-free and open to all K-7 students, Stonebridge is a safe, small school community that focuses on building global citizens through reading, writing, and math combined with arts, technology, and physical education to educate the whole child. Teachers and staff at Stonebridge World School have experience working with a diverse student population. Drawing upon that experience we have developed a learning program for the school which features research-based curriculum, hands-on learning opportunities, small class sizes, comprehensive family support services, and opportunities for active parent participation. We know that how students learn is as important as what they learn so we support families in helping their children learn and grow. Our mission is to create an environment with a global perspective that prepares students to excel academically. Our vision is to develop motivated and principled global citizens for lifelong learning and productive citizenship. Responsive Classroom—integration of social and academic learning.